This entry was posted in Denmark Denmark Immigration settle in Denmark and tagged Denmark Green Card Points Calculator Denmark Green Card Scheme Denmark Green Card Scheme Eligibility Criteria immigrate to Denmark work and live in Denmark work in Denmark on November 5, 2014 by Blog Author. Planning to work in Denmark? Pondering on how to migrate to Denmark for the purpose of seeking work? 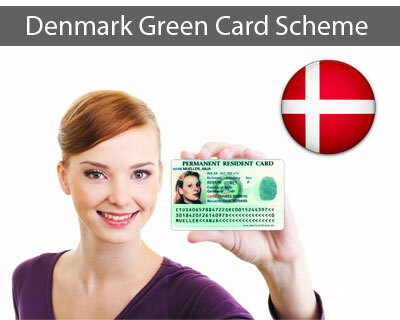 Denmark green card scheme is the right option for people like you. Under Denmark green card scheme, one can be granted with a residence permit for the purpose of seeking work and working in the country. Individuals who obtain residence permit under the Denmark green card scheme will be able to carry out any paid or unpaid work. Also, if you qualify under Denmark green card scheme, you are not required to obtain a work permit. Who do not Require a Work Permit? A work permit is not required for individuals who wish to work and live in Denmark, if they hold a Danish residence permit on the grounds of family reunification or asylum or hold a residence permit under humanitarian grounds. Denmark green card will be granted initially for a period of three years, with the possibility of extension of another one year, which can be further extended for a period of four years. Successful applicants of Denmark green card will be able to bring their eligible dependent family members to the country. If you are interested, fill out MoreVisas Enquiry Form, so that one of our visa consultant will appraoch you soon.